Over the past years, Dubai has been positioning itself as a leading fintech hub in the Middle East and North Africa region, supported by government initiatives to establish a favorable environment for financial innovation and attract foreign fintech players. As of May 2018, there were more than 45 fintech companies registered at the Dubai International Financial Center (DIFC). A magnet for global foreign investors, Dubai attracted Dh 17.7 billion (US$4.8 billion) in foreign direct investment (FDI) in the first half of 2018, with sectors such as e-commerce, artificial intelligence (AI), blockchain and fintech witnessing significant traction. Dubai-based Alcazar Capital Limited and Fintech Consortium’s investment arm, InQvest Partners have partnered to launch a US$100 million global fintech fund. Alcazar Capital has anchored the fund with 10% of the total capital, and put its head of North American operations, Maissan Almaskati, in charge of its move into fintech. 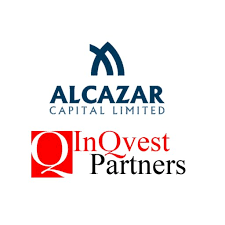 “Alcazar Capital Limited has a proven investment track record and we are excited to leverage their investment and fund capabilities to build a successful global fund and fintech portfolio together,” said Gerben Visser, founder of Fintech Consortium and managing partner of InQvest Partners. The fund will invest in North America, Europe, Asia and the Gulf Cooperation Council (GCC). Emcredit, a state-backed subsidiary of the Dubai Department of Economic Development and Dubai’s credit bureau, has announced the launch of a digital currency called emcash. A partnership between Emcredit, Indonesian crypto startup Pundi X, and local fintech startup Ebooc Fintech & Loyalty Labs, will see the development and deployment of point-of-sale (POS) devices supporting emcash across the city and wider region. The POS will allow consumers to use emcash to make retail payments in-store, pay for government utilities, telecommunications, and school fees. “We are committed to continuously improving the services we offer to our customers in accordance with the directive of His Highness Sheikh Mohammed Bin Rashid Al Maktoum, UAE Vice President and Prime Minister and Ruler of Dubai,” said an emcredit spokesperson. Dubai has integrated blockchain technology into its online payment portal DubaiPay to allow for real-time reconciliation and settlement transactions. DubaiPay is a service provided by the Dubai government that allows users to inquire amounts they owe to government entities by using text messages, and to make payments to clear those dues, especially in case of urgent transactions. The portal counts over 40 entities, including 27 government and 14 non-government agencies, connected to the platform. In 2017, it collected US$35 million from 9.4 million transactions. “Dubai aims to become the world’s first blockchain-powered government by 2020,” said Mira Sultan Obaid Abdul Rahman, director of smart services-enablement department at Smart Dubai Government. Monami Tech, a Dubai-headquartered fintech company, has raised US$1 million – the first tranche of a larger Series A funding round which is expected to mobilize over US$3 million and close in the coming months. Monami Tech helps financial institutions leverage the benefits of digital technology to enhance their customer experience. This includes providing products and services such as customer onboarding platforms, digital wallets, loan origination systems, video conferencing, lending applications, and others. Besides scouting for talent, Monami Tech’s founder and managing director Ammar Afif said expanding into new segments including instant lending, and exploring new verticals beyond financial services such as insurance and healthcare, also featured on the startup’s agenda. Last month, the Dubai Financial Services Authority entered into an Exchange of Letter with the Financial Services Agency of Japan to cooperate in the development of fintech, share information, and ensure the efficient entry of fintech companies into the respective markets. On October 30, the third annual Fintech Summit will take place at Queen Elizabeth 2, Port Rashid. Held under the banner theme of “Enterprise Grade. Real World. Now,” the event is set to bring together an influential line-up of 20+ speakers, 200+ decision makers and 15+ solutions providers. 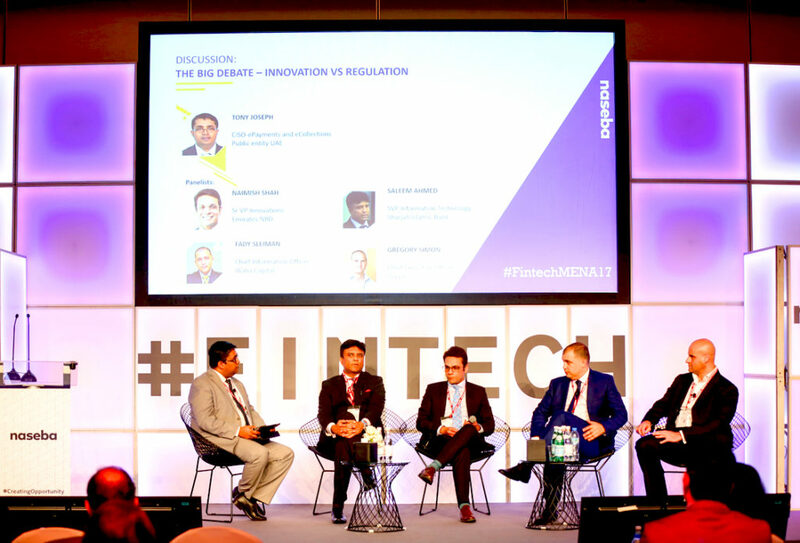 Fintech Summit 2018 will feature presentations AI, regulation, blockchain technology, digital payments, cybersecurity, and more, tech tacks covering the latest technology trends, challenges and associated solutions, panel discussions with industry thought leaders, and Deal Flow meetings conducted between delegates and solution providers. Touche, a Singapore-based fintech firm, has partnered with SEED Group to expand its fingerprint-based payment and loyalty management solution into the Middle East. Based in Dubai, SEED Group is a group of diversified companies owned and chaired by the Private Office of Sheikh Saeed Bin Ahmed Al Maktoum. The group forms strategic alliances with global companies representing diverse regions and industries to help them enter the MENA region. Touche has developed a solution comprising a hardware device and a software solution that allows customers to pay by using two fingerprints to authorize payments. The solution integrates a high-tech biometric sensor with payments technology while also accessing information on the customers’ loyalty cards. The post Fintech in Dubai News Roundup appeared first on Fintechnews Middle East.